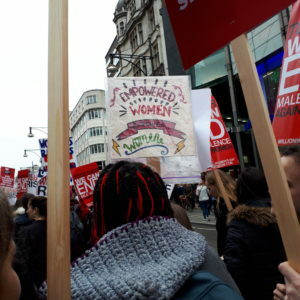 Saturday 10th March, UK WILPF were among thousands of women who marched through central London demanding an end to violence against women. 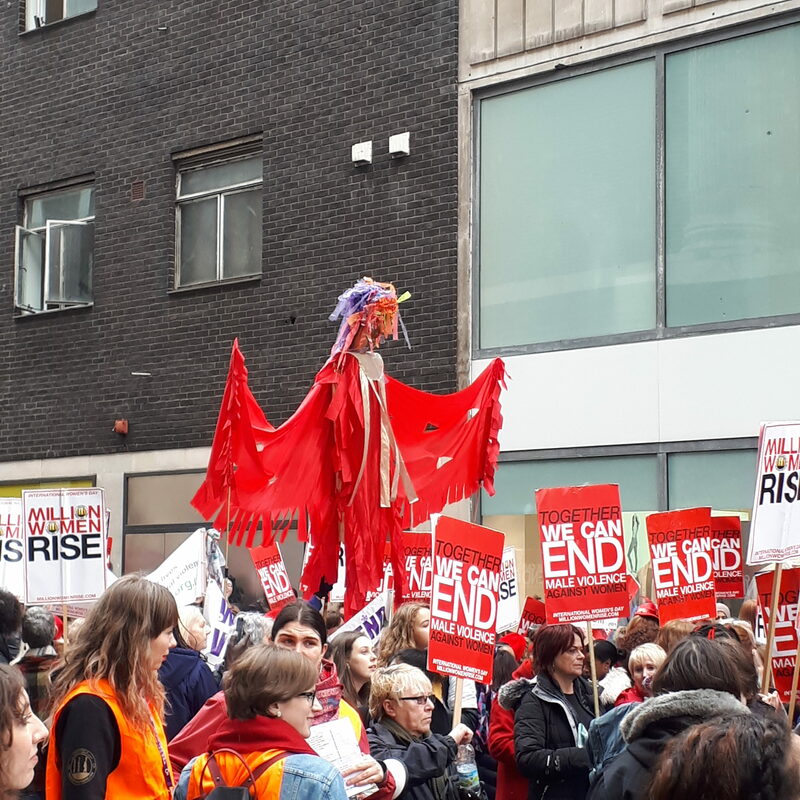 The Million Women Rise march is now an annual fixture the Saturday after International Women’s Day, with this year being the march’s 10th anniversary. 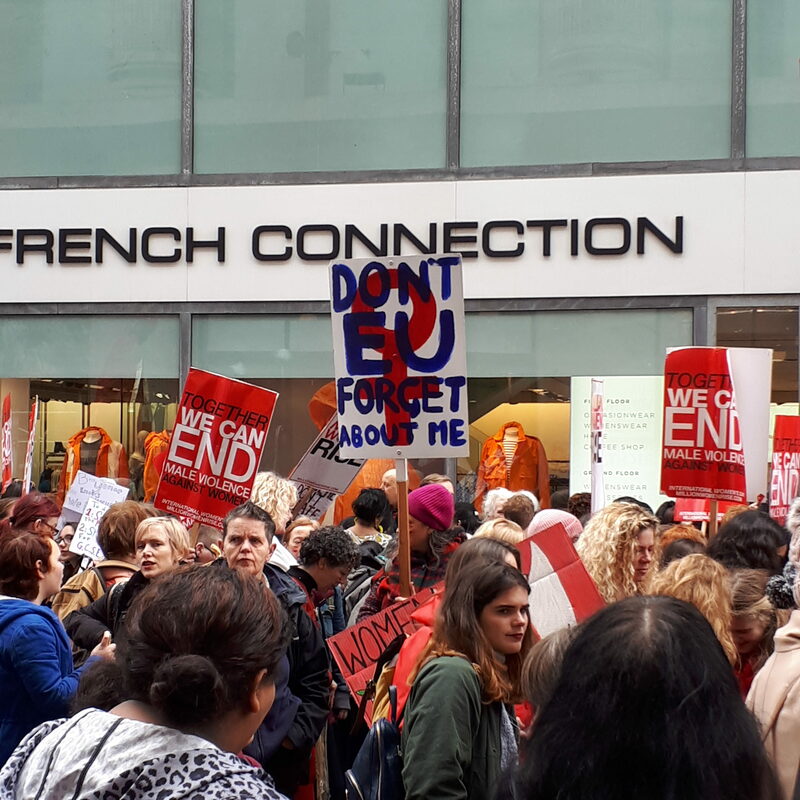 As we marched, we sang and chanted “What do want?… Safe streets….” and “Whatever I wear, wherever I go, yes means yes and no means no”. The atmosphere was jovial, as women joined together to celebrate our power. 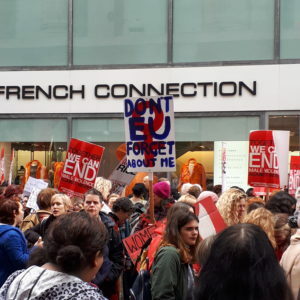 Onlookers clapped and took photographs. With some passing parents even taking the time to point out the march to their children – which was particularly heart-warming. 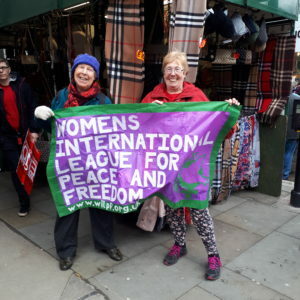 UK WILPF was proud to be there, and we carried our banners chatting with other women, swapping anecdotes of our activism. 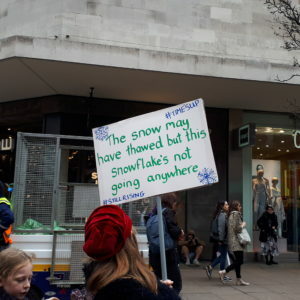 What was striking was the number of younger women on the march. 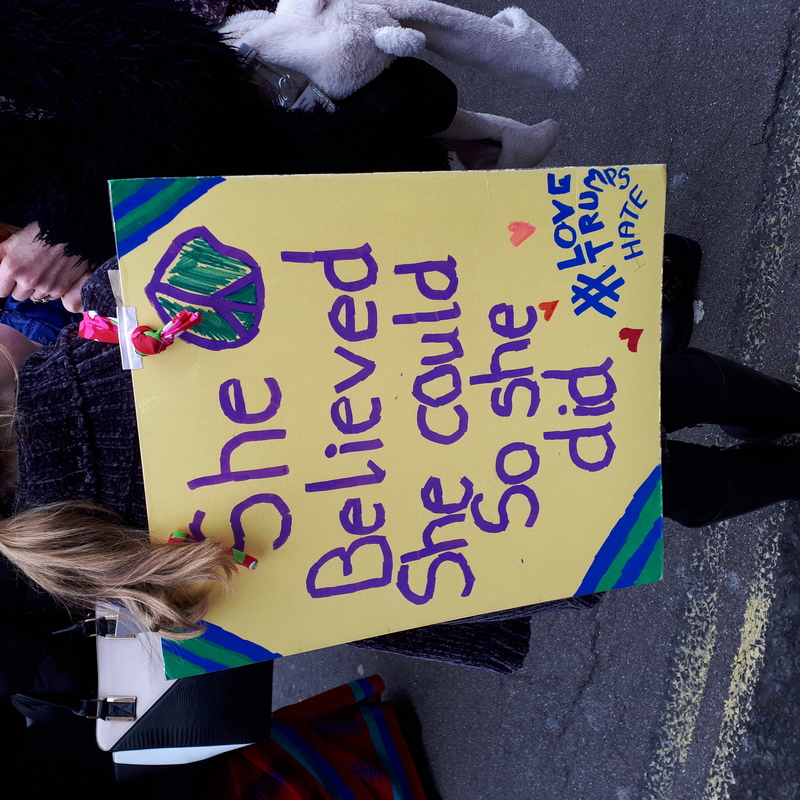 It was great to see so many young women arm in arm with their older sisters, standing together against violence against women. 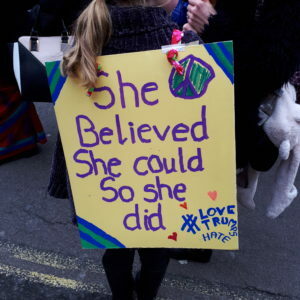 It shows the next generation is growing up feminist. 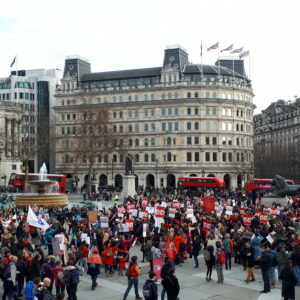 You can see coverage of the march here. 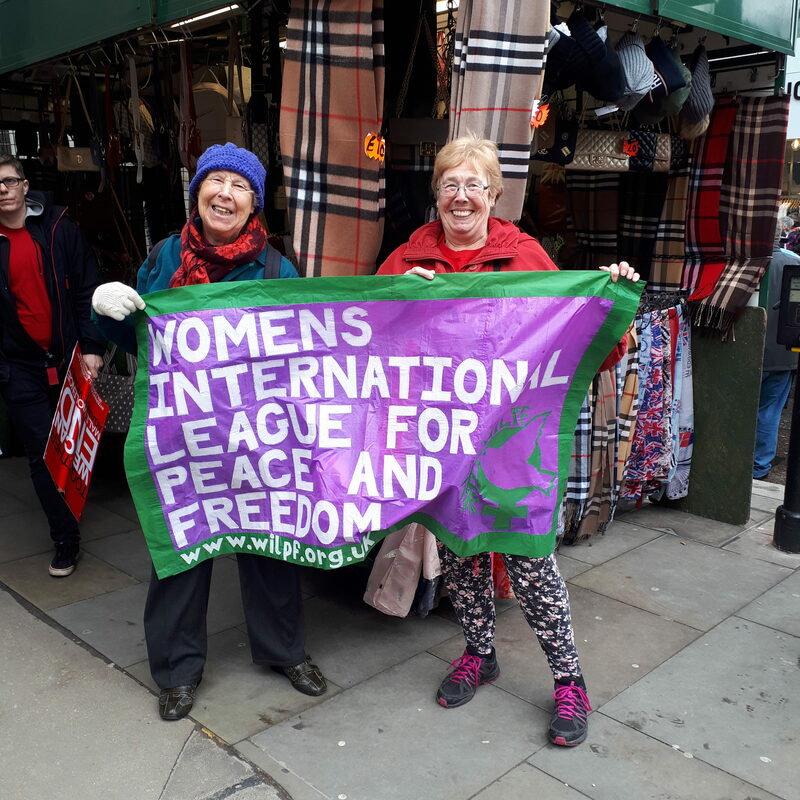 UK WILPF legends Sheila Triggs and Paula Shaw with one of our banners. 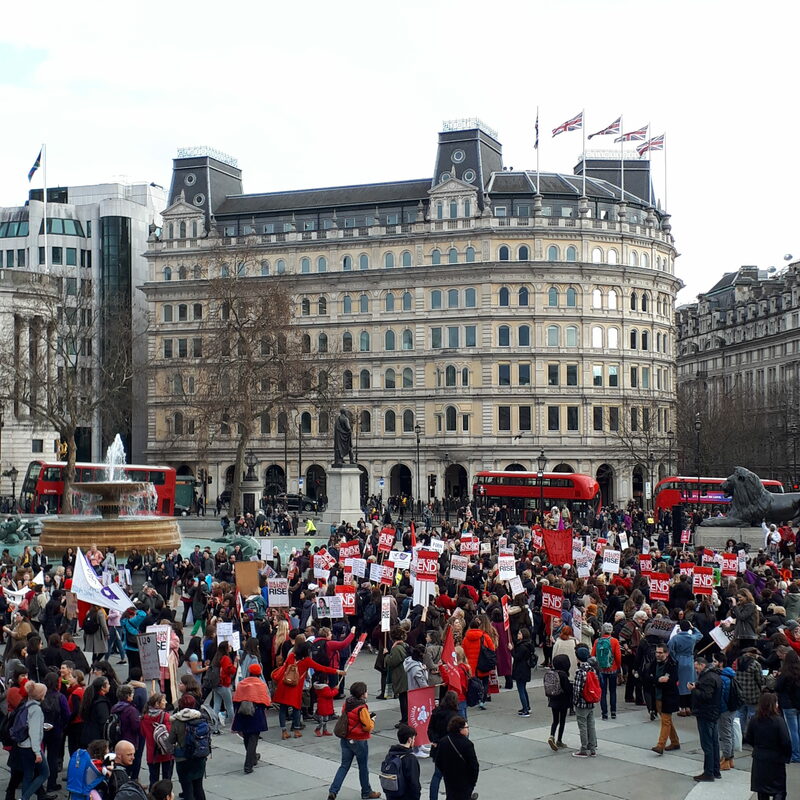 At the end of the march we congregated at Trafalgar Square.